BOOM! Studios and WWE today unveiled a first look at WWE: NXT TAKEOVER – THE BLUEPRINT #1, kicking off a weekly event series on-sale in September 2018. 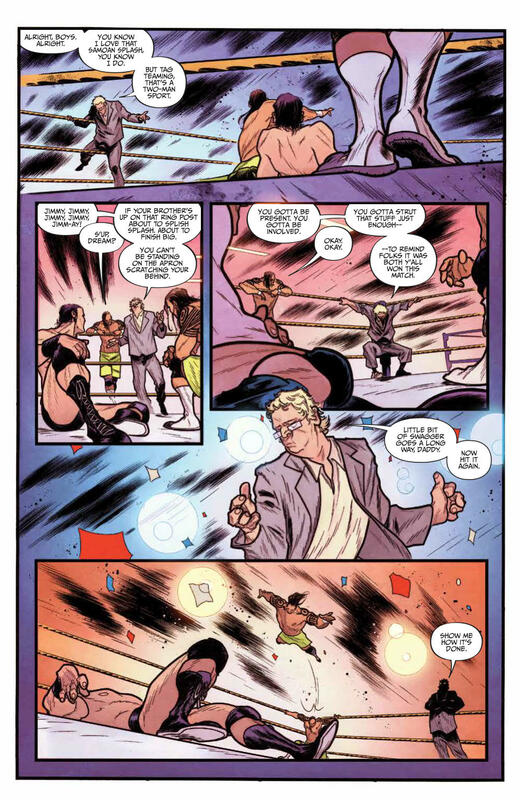 NXT has become WWE’s third global brand, and the launching pad for some of today’s biggest Superstars including Seth Rollins, Charlotte Flair, Braun Strowman, Alexa Bliss and many more.. Now, learn the untold stories behind NXT in this special weekly event from writer Dennis Hopeless (WWE) and artists Jake Elphick (WWE: WrestleMania 2018 Special), Kendall Goode (Maze Runner: The Death Cure) and Hyeonjin Kim (Sisters of Sorrow). 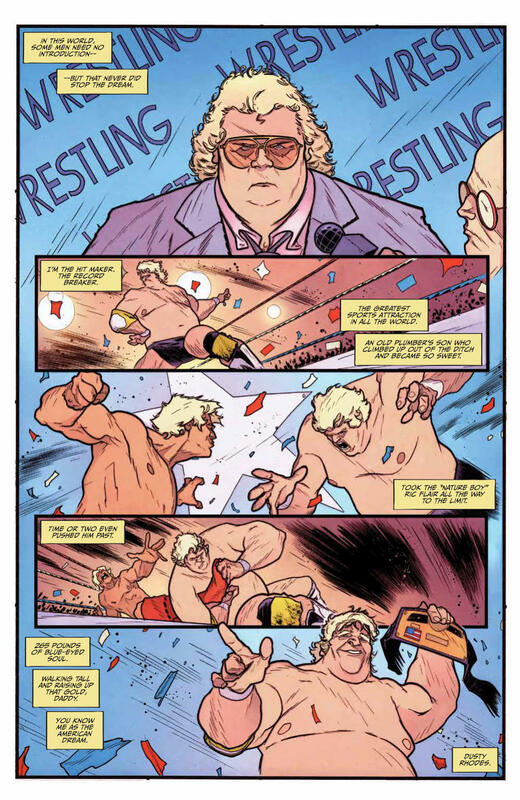 In this WWE: NXT TAKEOVER – THE BLUEPRINT #1, travel back to 2012 and go behind the scenes as the legendary Dusty Rhodes begins to shape the world of NXT into what would become an iconic home for sports entertainment. Additionally, fans can download a special video message from WWE Superstars Andrade “Cien” Almas & Zelina Vega about WWE: NXT TAKEOVER right here. Week Two - WWE: NXT TAKEOVER - PROVING GROUND #1: The Demon King, Finn Bálor, enters the NXT Universe and is confronted by Samoa Joe. Week Three - WWE: NXT TAKEOVER - INTO THE FIRE #1: The Empress of Tomorrow, Asuka, begins her rise to the NXT Women’s Championship, and former Champion Paige returns to scout for potential allies. Week Four - WWE: NXT TAKEOVER - REDEMPTION #1: Johnny Gargano and Shayna Baszler make the move to NXT and immediately leave their mark. 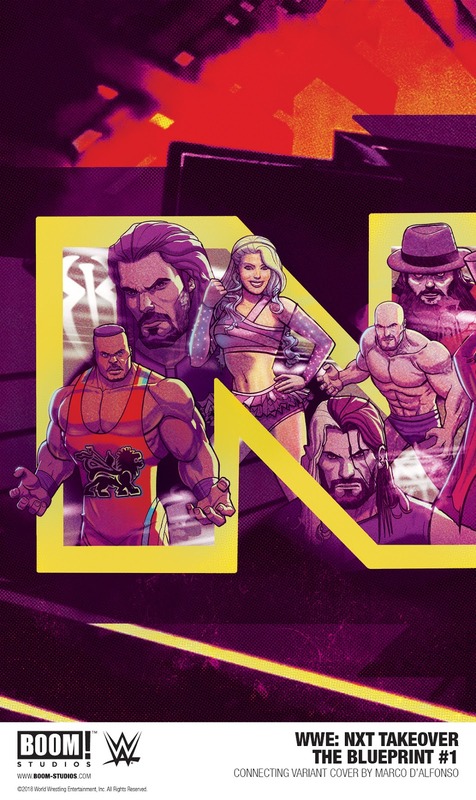 WWE: NXT TAKEOVER features connecting variant covers by Marco D’Alfonso, along with main covers by Lucas Werneck (The Blueprint), Aaron Dana (Proving Ground), David Nakayama (Into The Fire) and Audrey Mok (Redemption). WWE: NXT TAKEOVER is the latest release from BOOM! Studios’ eponymous imprint, home to a world-class group of licensed comic book series and ambitious original series, including Mighty Morphin Power Rangers, Firefly, Bone Parish, Victor LaValle’s Destroyer, Mech Cadet Yu, Grass Kings, and Klaus. 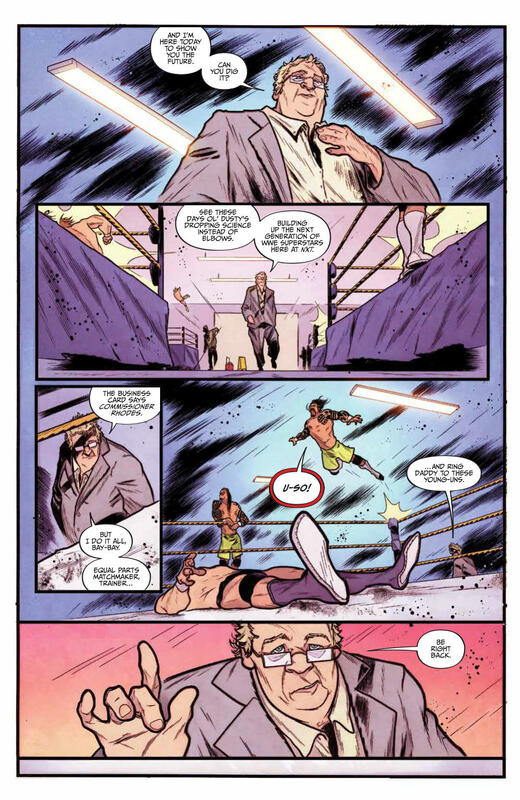 Print copies of WWE: NXT TAKEOVER – THE BLUEPRINT #1 will be available for sale on September 5th, 2018 at local comic book shops (use comicshoplocator.com to find the nearest one) or at the BOOM! Studios webstore. Digital copies can be purchased from content providers, including comiXology, iBooks, Google Play, and the BOOM! Studios app. For continuing news on WWE and more from BOOM! Studios, stay tuned to www.boom-studios.com and follow @boomstudios on Twitter.